This is a premium grade phono preamp with several enhancements in the circuit design and power supply. This product is for someone that wants the ultimate tube phono preamp, but doesn't want to pay $2500 or more for an Audio Research PH6 or PH8. 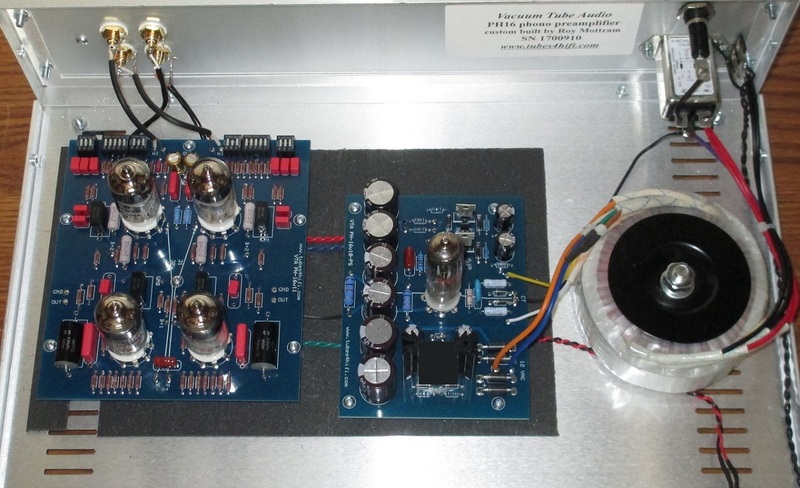 The 1st gain stage is our proven super-low noise JFET current source driving a 6922 amplification stage with the 50Hz and 500Hz poles of the RIAA filter. The 2nd gain stage drives the 2122Hz RIAA pole of the RIAA filter. Both of these stages are supplied with a regulated B+ voltage, one for each channel. 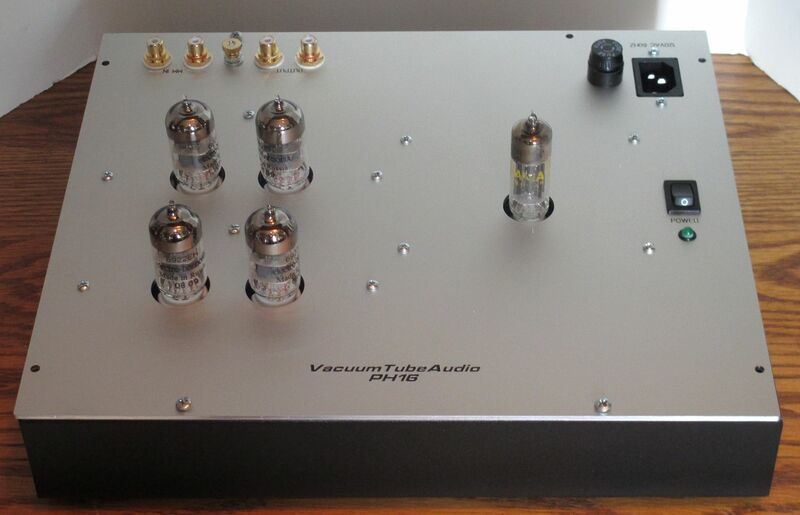 and this is also supplied with a regulated B+ voltage, one for each channel. This stage gives a low output impedance of around 450 ohms and isolates the phono amp from interconnects and further amplification. a great PSRR figure, and feedback-free amplification. This board has DIP switches to set the correct load (resistance and capacitance) for the input cartridge. Here is a recent build link and review from a customer . . .
and I must say it is a just a wonderful sounding phono preamp, I would have to say the best I have heard to date. I have been on a quest for the best affordable phono preamp I can find. I grew up with vinyl. Ortofon 2M Blue and Black, Benz Glider SM, and Audio Technica ATN-150MLX. So what makes the PH16 so special? First, you have the ability to properly load your cartridge. This is very important, for example, the ATN-150MLX has a 7-8db peak at the high end if loaded with the recommended 47K. By loading it with 19K and 200pF, the high end smooths out substantially, it becomes much more listenable. The Shure V15 sounds great with a standard 47K load. The Benz Glider requires a 200 ohm load. 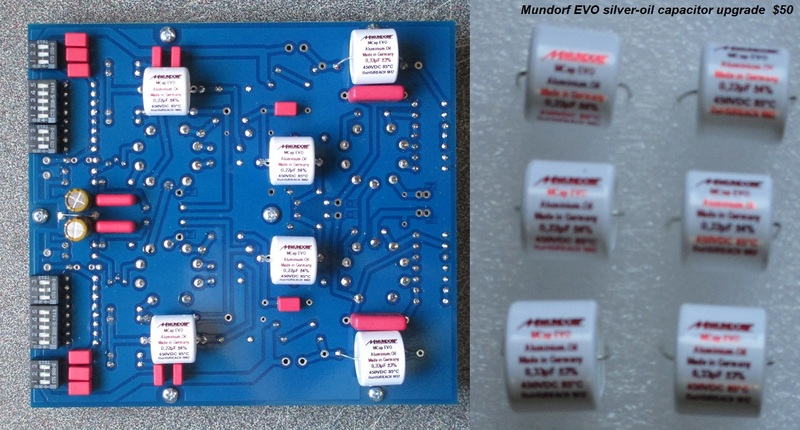 for this Roy uses a FET/6922 cascode stage, an excellent solution. The next stage utilizes another 6922, loaded with a constant current source. This is ideal, the CCS maximizes gain, minimizes distortion, and as a bonus, eliminates power supply noise! The last stage is an Aikido style cathode follower, which also gives very low distortion, eliminates noise, and, provides low output impedance. So what does it sound like? Well, I'm hearing more detail and ambiance, incredible bass authority, clean effortless highs, and freedom from overload. I'm hearing deeper into the recording than with any of the other phono preamps I have tried, with greater realism and fantastic dynamics. It's just a excellent sounding phono pre, at a down to earth price. Thanks Roy, you have done it again!" - Troy M.
"The PH16 is quite remarkable, very smooth and clean, no brittleness or harshness in the high frequencies. using a Hashimoto HM-3 step up device. I might try and change the settings, but for now I am very impressed. Soundstage is BIG!!. I also have a Bottlehead and a Hagerman Cornet with a lot of expensive boutique parts, etc. But the PH-16 betters it, no question, more detail. It does so much more for the music! Opera vocals come through like never before and it can do complex orchestral like I've never heard it. The small nuances of concert hall ambiance takes me back... I can't think of any Phono preamps in this price range that can do what this can do." into the PH16 input. The PH16 is connected directly to the TSE (which has a volume control) and provides more than enough gain to drive it to concert volume. In fact, this is the loudest the TSE has gotten by far. The PH16 setup extracts way more detail out of the vinyl, resulting in an effortless, more airy sound, with gorgeous tones and lively transients. but in just the first couple of hours I'm a very happy customer. Thank you for designing such a superb unit and for all the help you've given over the past few weeks. I'm looking forward to doing more and more listening over the coming months." Jeff D.
detailed assembly instructions click here! and then thru your phono section give flat freq output! 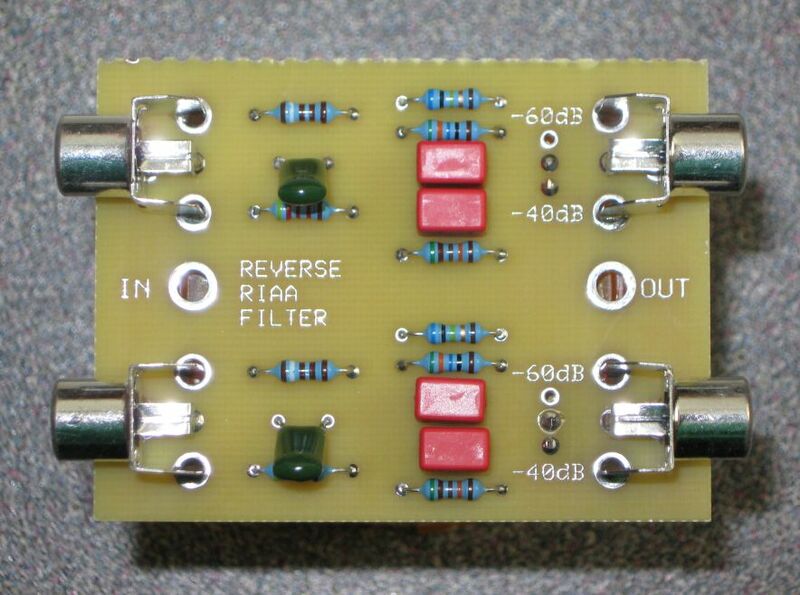 (Moving Coil) transformers with less than 3mv output. This can be configured for 14db, 20db, or 26db of additional gain. Uses high quality Swedish made Luhndahl transformers.